Why Are There Green Icebergs in Antarctica? The presence in the ice of iron oxides from the continental shelf can be the origin of this unique colour. Since we associate ice with the white colour, it seems obvious to think that icebergs are going to be all that way, of a pristine white. However, there are bluish, yellowish and even green icebergs. Pure ice, in fact, is blue, because it absorbs more red light and reflects blue light . The different tonalities that go from white to intense blue have to do with the composition of the iceberg, which is formed by compressed snow and ice that contains air bubbles. These bubbles cause the photons to change direction repeatedly by refraction and re-emerge to the surface, causing the effect of a whiter ice. When the ice incorporates rock particles it may seem yellowish … but why do green icebergs sometimes appear in Antarctica? This has been a curiosity for scientists who could not find an explanation. An article published by oceanographers from universities in the United States and Australia in the Journal of Geophysical Research : Oceans gives an explanation to this phenomenon: they believe that the iron oxides in the rock dust of the continental part of Antarctica are turning some of the green icebergs . The researchers discovered large amounts of iron in the Amery ice shelf of East Antarctica . The rock dust that contains these oxides is added to the ice and is what causes the colour change from blue to green. Iron is a key nutrient for phytoplankton, the microscopic plants that form the basis of the marine food web. But iron is scarce in many areas of the ocean . 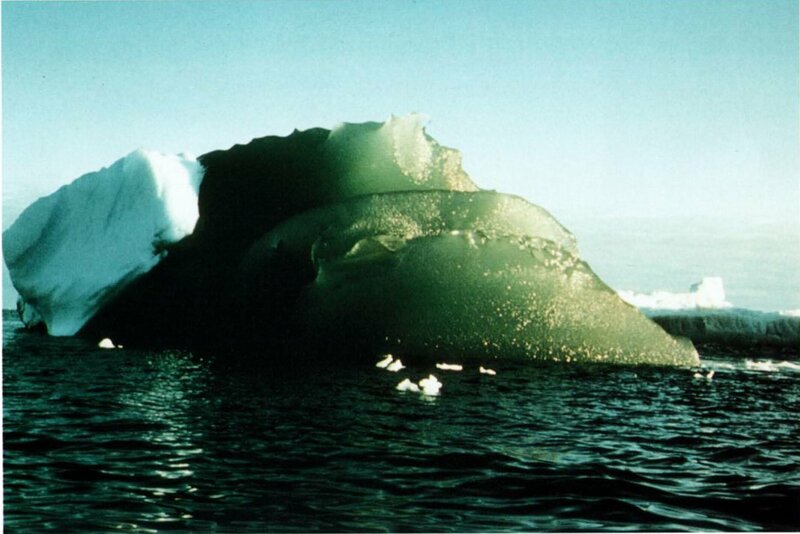 If the experiments prove that the new theory is correct, this would mean that green icebergs are transporting this rare element from the continent of Antarctica to the open sea, providing a key nutrient to sustain marine life. 15 Bests Gifts For The Seamen and Sea Lovers.